Infoblox provides world-class professional services team, processes, experience, best practices, and methodology to ensure you maximize the value of your Infoblox deployment. The Infoblox Professional Services team provides full lifecycle support for Infoblox customers, from pre-deployment architecture and planning through implementation, optimization, and ongoing iteration as your network grows. We use an industry and customer validated service model approach of: plan, design, implement, operate, and optimize (PDIOO). We will accelerate your time to value with less risk and greater return on your investment. Within our service lifecycle are the planning and design phases. Whether this is a DDI or Network Automation solution, we will help you plan your project and identify key tasks, responsibilities, milestones, and success criteria. We can also assist with a dedicated workshop inclusive of all the key stakeholders for your project to generate concensus and develop the appropriate design and strategy to implement your solution within project and risk parameters. This phase of the lifecycle is the foundation for all remaining phases of the project. The next phase of our service lifecycle is the implementation phase. We will deploy and implement your Infoblox system, making it operational much more quickly and more effectively than you would on your own, and without the typical risks that often accompany deploying a new solution into an existing network environment. This phase of the lifecycle is where all the planning pays off and you get to see the payback on your Infoblox investment. Infoblox advocates following implementation with operate and optimize phases. 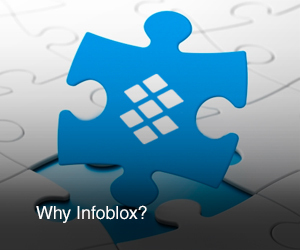 Your Infoblox solution has many capabilities that might not have been a day-zero requirement. We can help you take advantage of powerful APIs to have us develop custom automation or workflows to help your team become more effective in their daily tasks. We can also provide DDI and/or Infoblox Grid assessments to help you better understand your current environment and present recommendations based on years of industry experience to help you better manage your infrastructure. This phase of the lifecycle helps you better utilize your investment and set the stage for making it work better for you in the future.